Rabbi Simon Jacobson is the author of the best-selling book Toward a Meaningful Life, a William Morrow publication that has sold over 300,000 copies to date and has been translated into Hebrew, French, Spanish, Dutch, Portuguese, Italian, Russian, German, Hungarian, Czech and Croatian. Rabbi Jacobson heads The Meaningful Life Center (www.meaningfullife.com), which bridges the secular and the spiritual, through a wide variety of live and on-line programming. The Center, which has now found its home in Downtown Manhattan, presents to people of all backgrounds, the universal teachings of Torah as a blueprint for life. MLC, called a "Spiritual Starbucks" by the NY Times, is in the process of creating a warm, soulful environment, a "third space" where men and women can commune, read, have a coffee and interact, while also offering dynamic, interactive experiences of living spirituality through a variety of ongoing programs, musical and artistic events, lectures, classes and seminars, as well as a wide array of published learning materials, books, audio and video programs. The Center is an outgrowth of Rabbi Jacobson's popular Wednesday night class that has captured the hearts of thousands of participants over the last 25 years with its spiritual message and profound insights into the human condition. For over 14 years Rabbi Jacobson, as Editor-in-Chief of VHH, was responsible for publishing the talks of the late Rabbi Menachem M. Schneerson, the Lubavitcher Rebbe. Beginning in 1979, he headed a team of scholars that memorized and transcribed entire talks that the Rebbe gave during the Sabbath and holidays, as writing and tape recording are not permitted on holy days. In this position, Rabbi Jacobson was privileged to work in close association with the Rebbe and published more than 1000 of the Rebbe's talks. He also headed the research team for Sefer Halikutim - an encyclopedic collection of Chassidic thought (26 volumes, published 1977-1982). Jacobson is one of the greatest scholars and sought after speakers in the Jewish world today. He has lectured to diverse audiences on six continents and in forty states on psycho-spiritual issues, applying Jewish thought to contemporary life, in a voice that is rooted in the timeless teachings of Torah, yet at the same time profoundly timely and relevant, unique and cutting edge. He has been interviewed on over 300 radio and TV shows, including CNN with Larry King, the Charlie Rose Show, and the CBS News Show, "The Best of Us." He is also the publisher of the largest Yiddish-English weekly newspaper, The Algemeiner Journal (www.algemeiner.com), filling the position of his illustrious father, esteemed journalist, Gershon Jacobson. Rabbi Bergmann is Penso’s Advisors’ Founder, Managing Principal and CIO. He leads the firm’s investment committee and advises clients on systemic macro risks, derivatives trading and opportunities as well as financial structuring. Rabbi Dr. Bergmann was the pioneer who created and implemented the first swaps on hedge funds. He started his career at Bankers Trust in 1989, when he joined the U.S. Interest Rate Derivatives trading desk, and managed this unit during 1992 and 1993. During this period, he was active in the development of structured notes, index-amortizing swaps, time swaps, binary options and other derivative products. Rabbi Dr. Bergmann holds a Bachelors in Talmudic Law from Ner Yisroel Rabbinical College as well as a Masters in Liberal Studies and a Ph.D. in Comparative Religion, both from Columbia University. He is a much sought-after Torah lecturer and acknowledged as an “iluy” or “genius” by many prominent Gedolei Yisroel. Allan Barrall is the US Army lieutenant colonel and executive consultant, strategist, and operations and execution. He is a leader with history of successive promotions to positions of progressively increasing responsibility in both public and private sectors. At present Barrall the senior is the director for Strategic Planning and Assessment at the National Security Council at the White House. He is the senior official to advance, coordinate, and integrate national security strategies & policy options. He fosters long-range thinking and develops implementation, assessment, & performance management plans. Mendel Jacobson is the Associate Rabbi and Chief Content Officer of Soho Synagogue in New York City. Mendel is the author of the Verse on Verse poetry serial and recently developed an educational experience for the Jewish Learning Institute. The New York Post has called Mendel a “rapper-slash-poet-slash-performer” and National Geographic has been filming him for a TV special soon to be broadcast. Mendel has lived, studied and taught in Budapest and Jerusalem. Together with his wife and son, Mendel now lives, studies and teaches in Downtown Manhattan. Dr. Shlomo C. Pill's research and teaching focuses on Judaism and Islam, with a special focus on these faiths as normative legal traditions, as well as on American law and legal theory as it pertains to the separation of church and state, religious freedom, and the construction of religious communities and institutions in the United States. A licensed attorney and ordained rabbi, Pill's work brings a wider perspective to Candler's core Christian education by providing students with foundation understandings of the American legal and political context in which they will live and work, and of the practices, philosophies, and commitments of the Jewish and Muslim communities that make up an important part of America's religious plurality. Pill is the founding Director of the Institute for Jewish Muslim Action (IJMA), a policy-action group building cooperative relationships between American Jews and Muslims through educational programming, policy research, and political and legal advocacy on issues of mutual interest in American public life. Building on his experience in leveraging common interests to promote dialogue, understanding, and cooperation between different religious groups, Pill provides support for Candler's Leadership and Multifaith Program. In addition to his roles at Candler, Dr. Pill is a Senior Fellow at the Center for the Study of Law and Religion at Emory Law School, and an instructor at Emory's Tam Institute for Jewish Studies. A frequent lecturer at universities and religious communities around the United States and abroad, Pill is the author of more than a dozen scholarly articles, and is working on two books, one on the jurisprudence of the late 19th rabbinic luminary, Rabbi Yechiel Michel Epstein, and another on the separation of political and religious authority and law in rabbinic thought and practice. Rabbi Sam Taylor currently serves the Community Rabbi at the Western Marble Arch Synagogue in Central London. In his role he oversees all programming which included being involved in publications, outreach and interfaith work. Rabbi Taylor graduated from the Cass Business School with a BS in Management before attending Yeshiva University where he received his Rabbinic Ordination and an MS in Jewish Education. He is currently studying towards a graduate certificate in non profit management at Harvard University. Emma Taylor is the Community Rebbetzen at the Western Marble Arch Synagogue and also teaches History at Hasmonean High School. Emma, a recent graduate of British Chief Rabbi Mirvis’ Ma’ayan women’s leadership program, is a popular guest speaker in high schools and Shuls all over London. Emma attended Michlelet Mevaseret Yerushalyim (MMY) in Jerusalem, then earned a BA in History at Kings College London and also was awarded an MS in Education and Special Education at Touro College in New York. Furthermore, Emma is a certified teacher in both the USA and UK. Simon Taylor is the New York Regional Outreach Director for New York, prior to which he led NCSY of New England. Rabbi Taylor originally hails from England where he worked for AISH UK as the director of London schools and the director of the national advisor program. He also served as a chaplain in the British Armed Forces, where he provided pastoral care to teenagers in the Army Cadet Force. He received semicha in Israel and the UK and is recognized as a prolific speaker on matters of Torah learning, Jewish inspiration, Family education and Communal matters. Rabbi Reuven Flamer has been teaching courses in Chassidus since the early 80's where he began in SOHO. He has taught in Palo Alto, California where he was the Chabad representative in Stanford University, White Plains, NY, and Monsey, NY. He is also founder and director of Natural Food Certifiers, a USDA organic food certification agency. (The company also awards certification for kosher, vegan, Gluten and GMOs). He recently founded a film studio Studio262 in Crown Heights, Brooklyn. This organization produces films that look to ignite a chain of spiritual activities. Studio262 is also a teaching school for young Chassidic men and women looking to make a positive impact through the art of film and other creative arts. Karen is the Director of Hadassah, The Women's Zionist Organization's Washington, DC office. As Hadassah's Director of Government Relations, she is Hadassah's chief lobbyist in Washington where she advocates for Israel's safety and security, combating anti-Semitism and Women's Health initiatives such as affordable access to fertility treatments. Barall served as Mid-Atlantic Director for the Orthodox Union Advocacy, and managed the OU Advocacy’s efforts in Maryland and Pennsylvania and prior to joining OU Advocacy, Karen served as Director of Maryland Government and Community Relations for the Jewish Community Relations Council of Greater Washington, where she organized the agency’s state and local legislative efforts, secured millions of dollars in state and local funding. Before joining the JCRC, Karen served as a politically-appointed foreign affairs officer in the U.S. Department of State’s Office to Monitor and Combat Anti-Semitism and as Special Assistant for Community Affairs to New York Governor George Pataki. 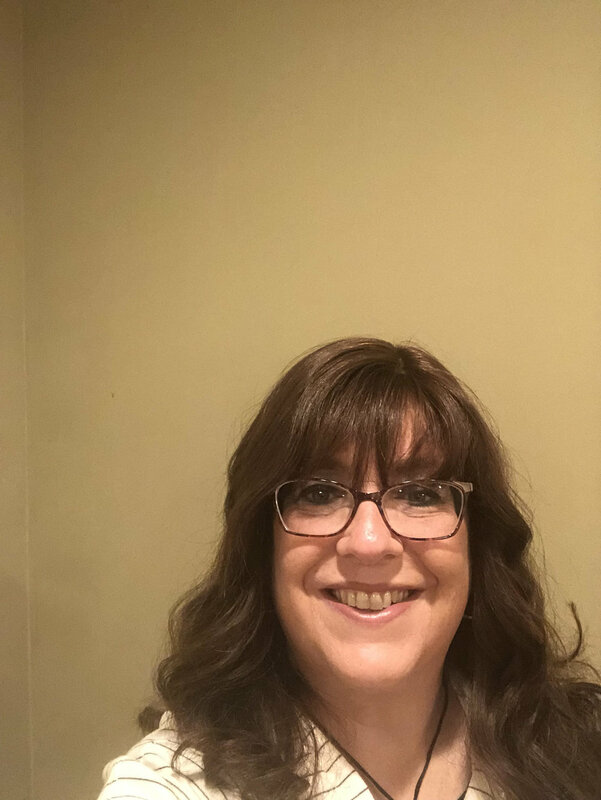 Karen has an extensive background in Jewish communal service and grassroots activity where she has actively served in leadership roles to encourage community activism. She holds a bachelor’s degree from Lander College for Women of Touro College. Karen and her husband Allan live in Potomac, Maryland with their two children. Shaindy Jacobson is the director of JLI’s women’s studies division, The Rosh Chodesh society. Mrs. Jacobson has been involved in the field of Jewish education for over twenty five years, teaching at the Bais Rivkah Teacher’s Seminary and serving as a community liaison and counselor for Operation Survival – a substance abuse prevention program. Shaindy lectures around the world, educating women about their Jewish heritage and its practical application to their daily lives. She is also an accomplished musician and composer and frequently accompanies her lectures with song and music. Rachel Pill, LCSW, is the co-founder and co-director of The Long Island Guidance and Wellness Center, a mental health agency providing groups and workshops on topics such as parenting and marriage, in private practice in The Five Towns.